Quiet luxury in soothing neutral tones. 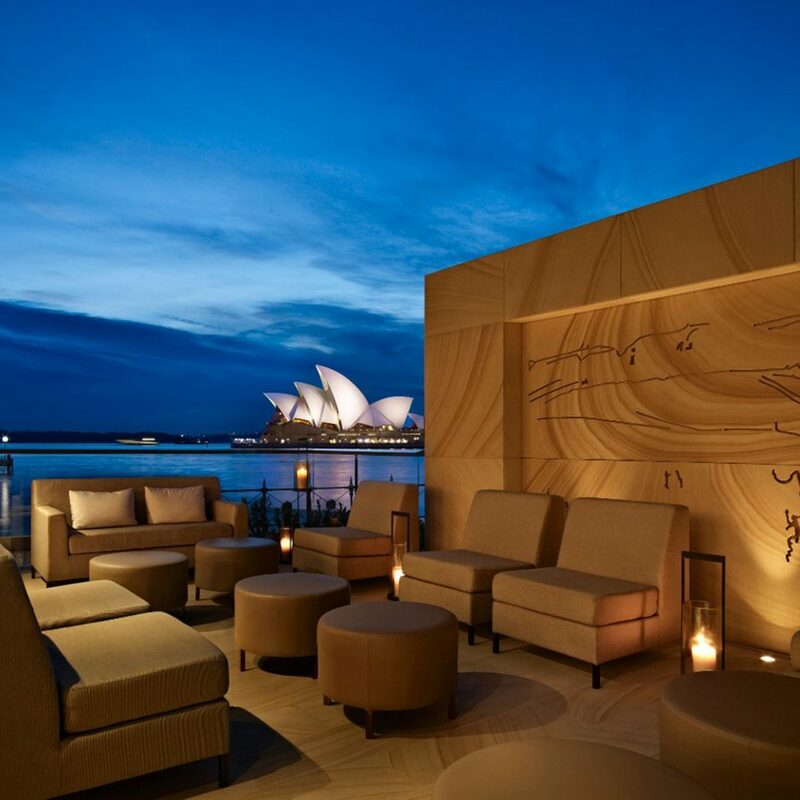 Design firm BARStudio revamped this already beloved hotel with an open-plan residential look, with each high-end piece of furniture positioned to maximize views out of the harbor-front floor-to-ceiling glass doors. 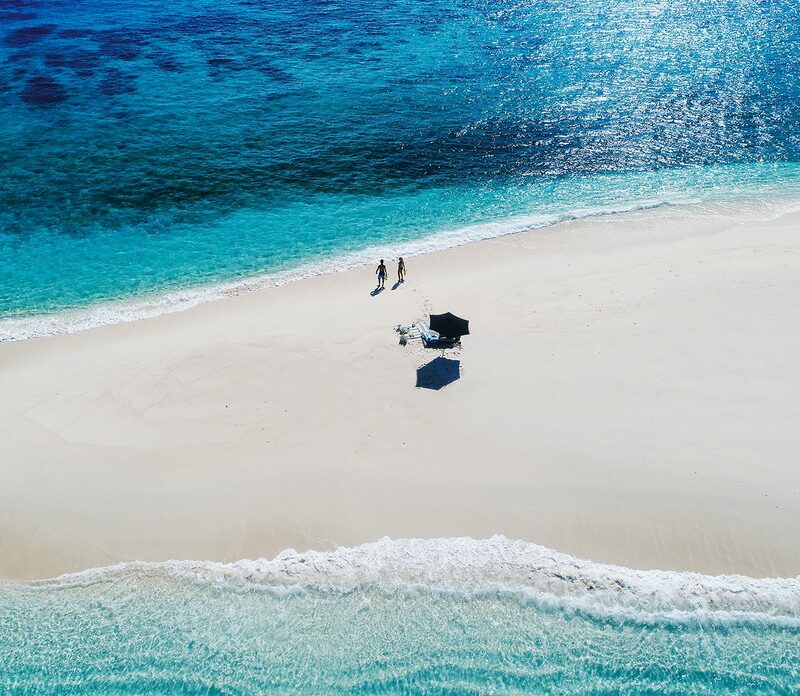 (For a sea-air breeze, enjoy the outdoors on your private balcony.) Stepping into these roomy suites (starting at 430 square feet) is like entering a cocoon—plush carpet, butter-soft leather couches and chairs, and an emphasis on natural light make for a relaxing, almost spa-like ambiance. 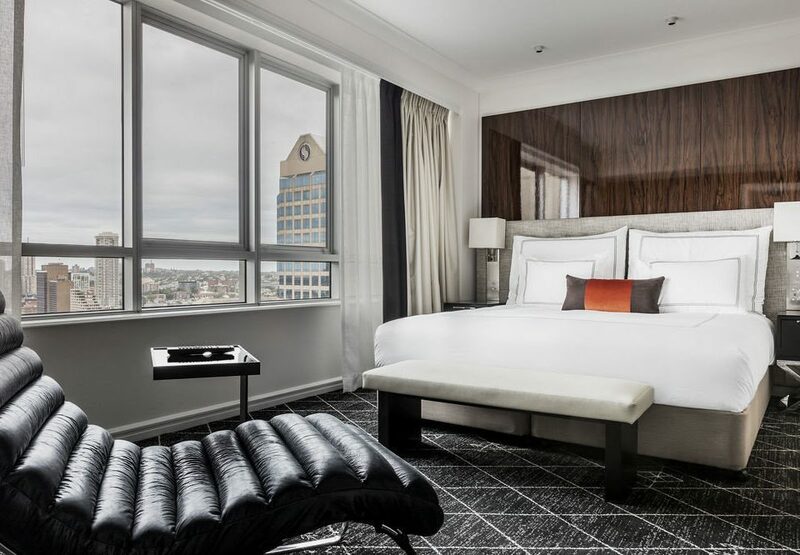 Eco-friendly tech (automatic blinds to reduce heat, lights that dim when you leave the room) make this one of the most modern hotels in Sydney, while the specially commissioned artwork by famous Australian artists places you firmly in your local surroundings. Room extras include LED TVs, Bose music systems, iPod docking stations and Nespresso coffee machines. 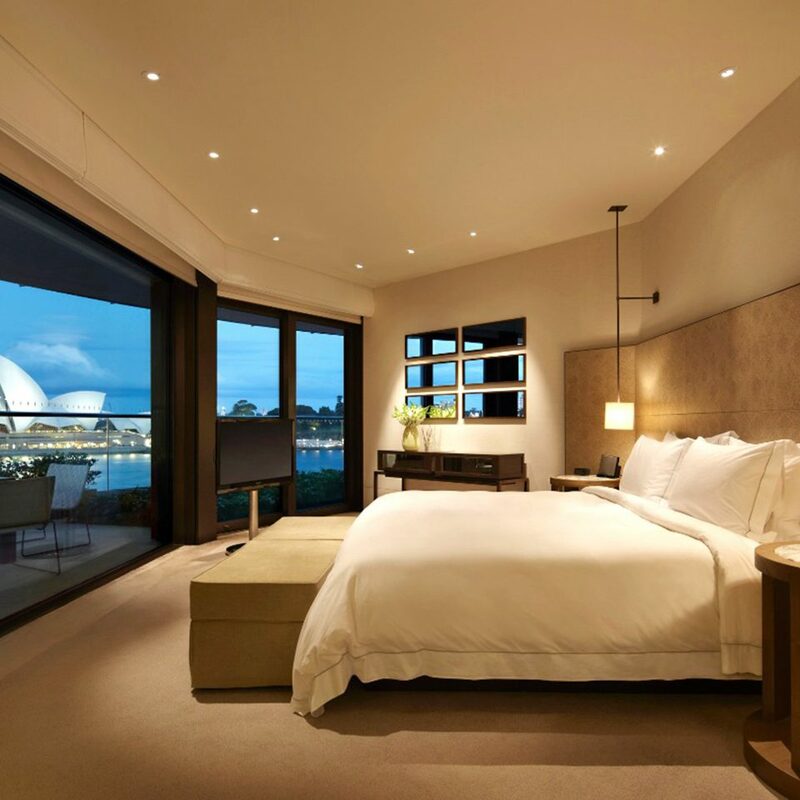 For maximum views and luxury, opt for an Opera Suite, Harbour Suite, Rooftop Suite, Quay Suite, or—the top of the pops—the two-bedroom Sydney Suite. Bathrooms are spacious and, like the rest of the rooms, usually angled to take advantage of the Sydney Harbour views. The renovation added generously sized rain showers, deep marble baths, dual vanities, heated Toto toilets with built-in bidets and Le Labo bath amenities. Don’t be fooled by the no-frills names of the bars and restaurant here—The Dining Room serves modern Australian dishes deserving of its stunning harbor backdrop, and The Living Room feels like the airy great room of your wealthiest friend’s beach house—a comfortable but stylish setting for a light meal (made from local, seasonal ingredients, naturally) or afternoon tea, served from 2:30 to 5 p.m. Upstairs, The Spa is a retreat within a retreat, with five lavish treatment rooms, a relaxation lounge, two steam rooms and Natura Bissé products from Spain. Walk out the back entrance of the hotel and you’re on the rim of the most famous harbor in the world. You may be content to sit on a park bench and watch the Sydney ferries come and go, but if not, there are plenty of other diversions nearby. It’s mesmerizing just to look at the Opera House, but don’t miss the chance to go inside, whether it’s for a performance or a behind-the-scenes tour. Need something fancy to wear to dinner? Take a stroll or a short cab ride to the MLC Centre, a skyscraper that’s home to the Theatre Royal and luxury labels including Cartier, Longchamp and locals Anthea Crawford and Von Troska. On the streets nearby, you’ll also find local outposts of Chanel and Burberry. For a quiet respite on a hot day, head to the Royal Botanic Gardens, which sprawl over a harbor-front peninsula just behind the Opera House. 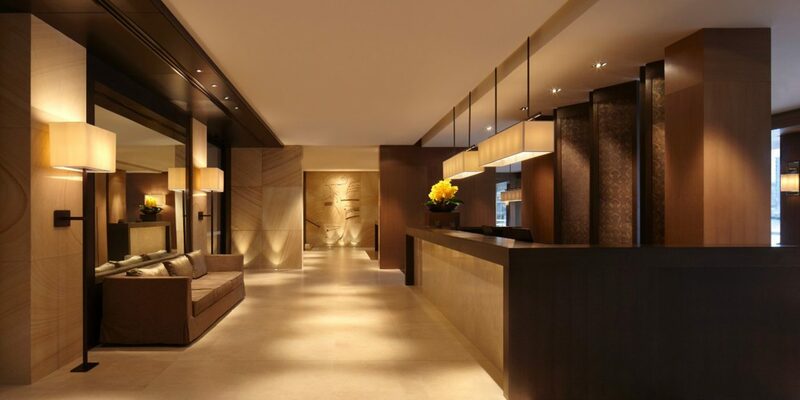 I am very lucky to travel the world for work and have stay in some amazing hotels, the Park Hyatt is up there for one of the best I’ve stayed in. 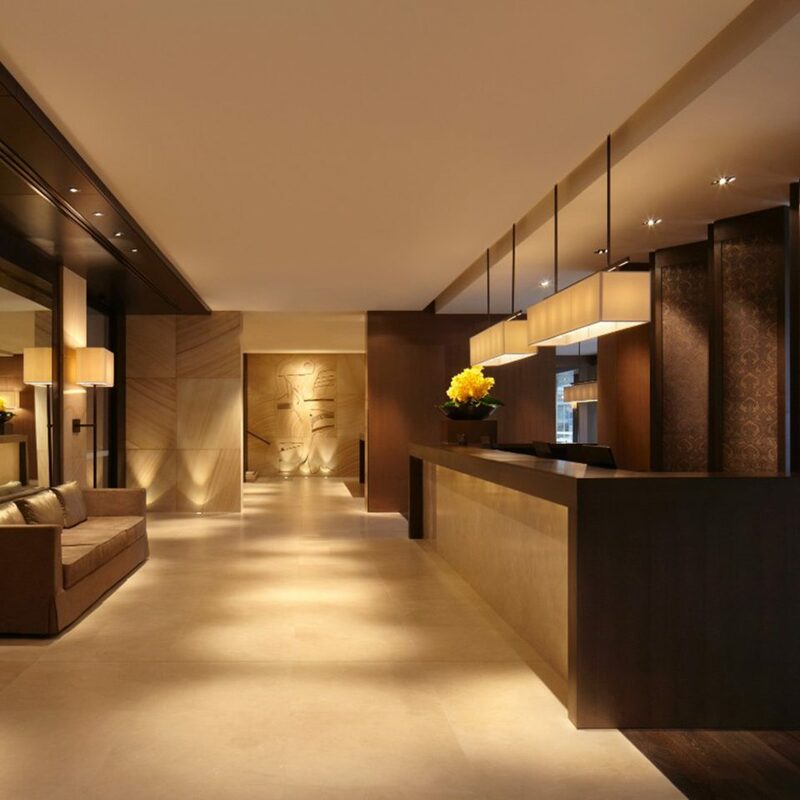 This is a modern hotel but at the same time it’s classic looking, so this hotel should suit all tastes. I only stayed here for two nights and I’m gutted it wasn’t longer. The rooms are so comfy and quite, with views that keep you on the balcony for hours. 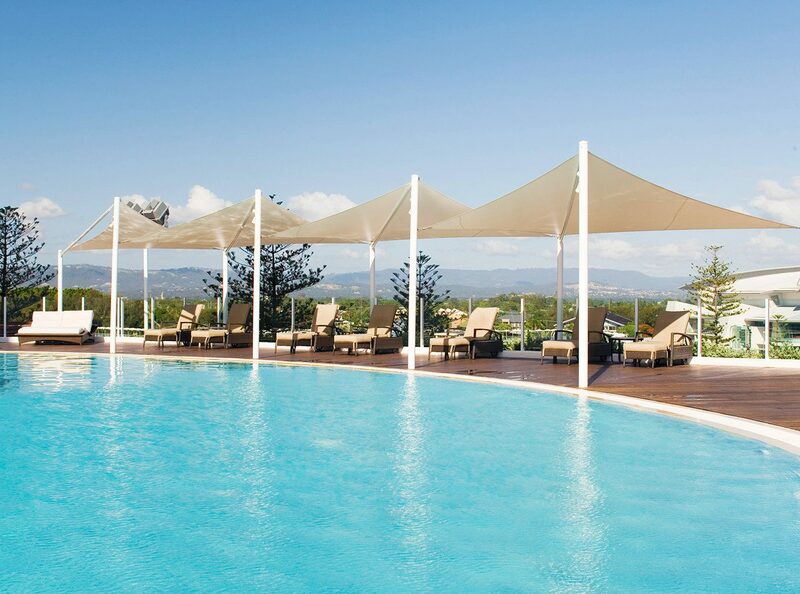 The pool area isn’t massive but if you manage to grab a lounger you’ll be well looked after. This hotel was amazing from start to finish of our stay. My wife and I recently stayed here. The views of the city, Opera House, and harbor were amazing! Watching the sunrise over the harbor and opera house was stunning. The hotel team members that helped us during our stay were both friendly and professional. 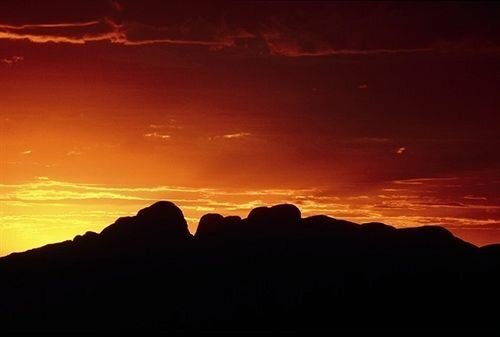 The hotel is also located on the edge of The Rocks area, which has a number of great restaurants, shops and bars. It’s also a short walk to the ferry terminal where you can catch ferry’s to popular spots like Bondi beach, Manly beach, and other areas throughout the city. Great hotel and great location. 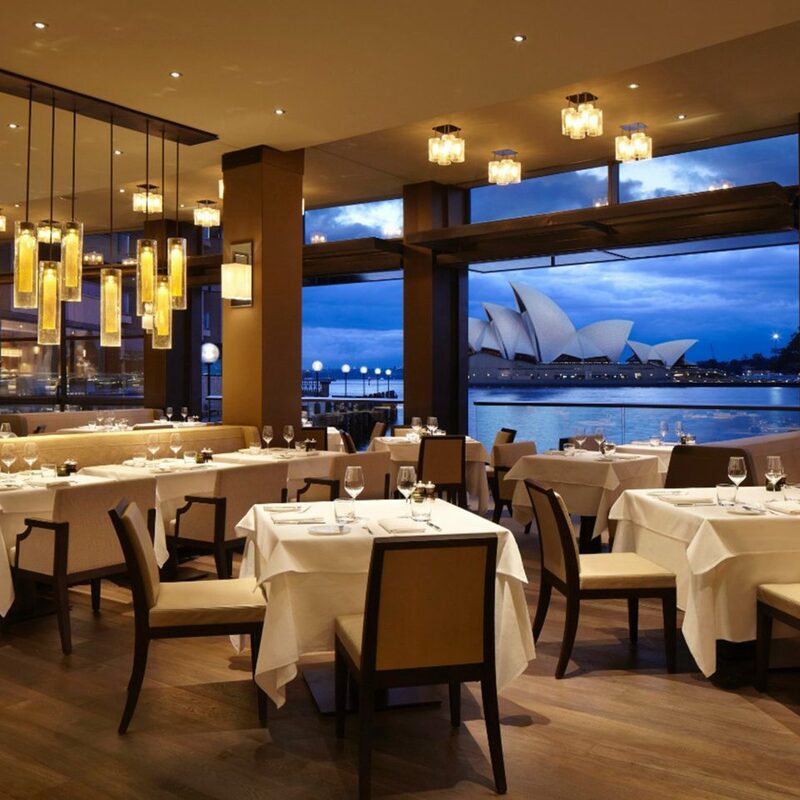 The Best Address To Stay In Sydney Australia! The restaurant food and room service are excellent. 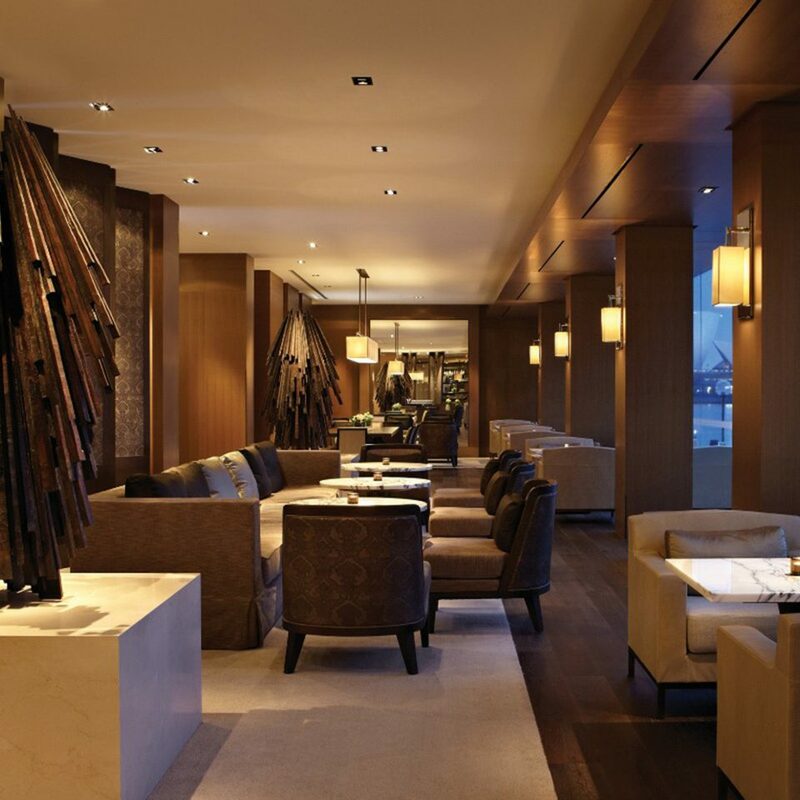 Park Hyatt Hotel is one of our favorite Hyatt Hotel in the world. We stayed here for four nights. 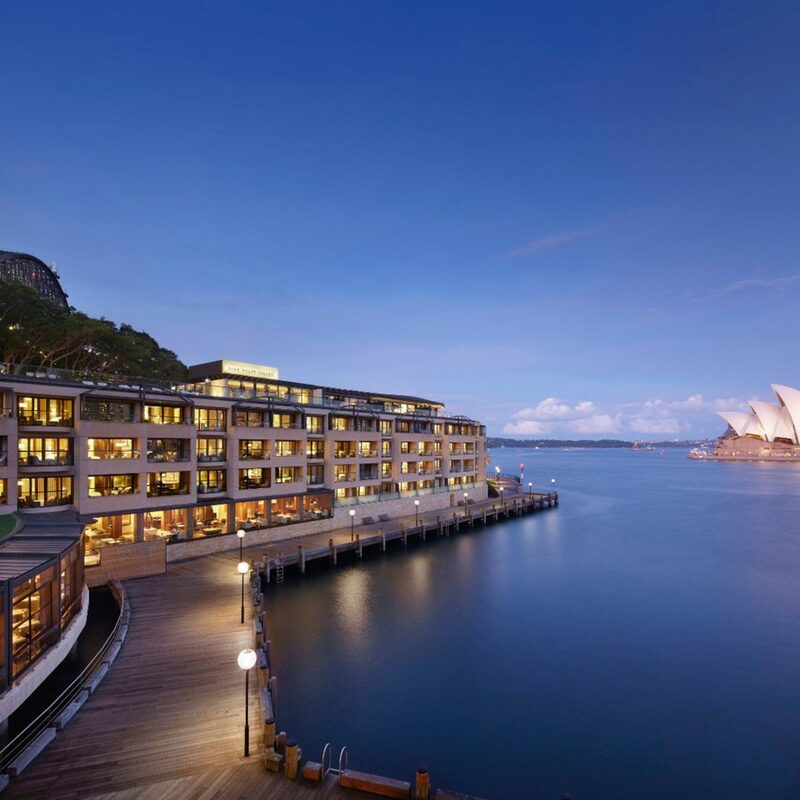 The hotel is located right next to the Harbour bridge and offers amazing view of the opera house. If you got a opera view room, it’s simply the best way to start the day waking up to this amazing view. I like that the hotel has a pool and sun deck up on the roof. 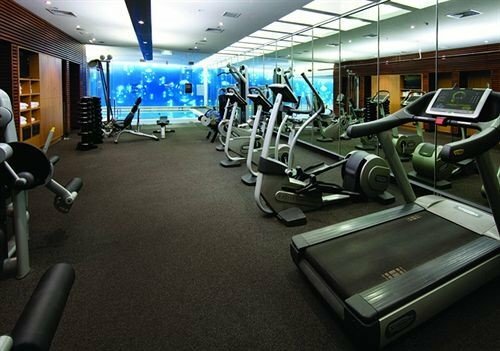 The gym is of a decent size, though the free weights and weightlifting equipment can be a bit limited. 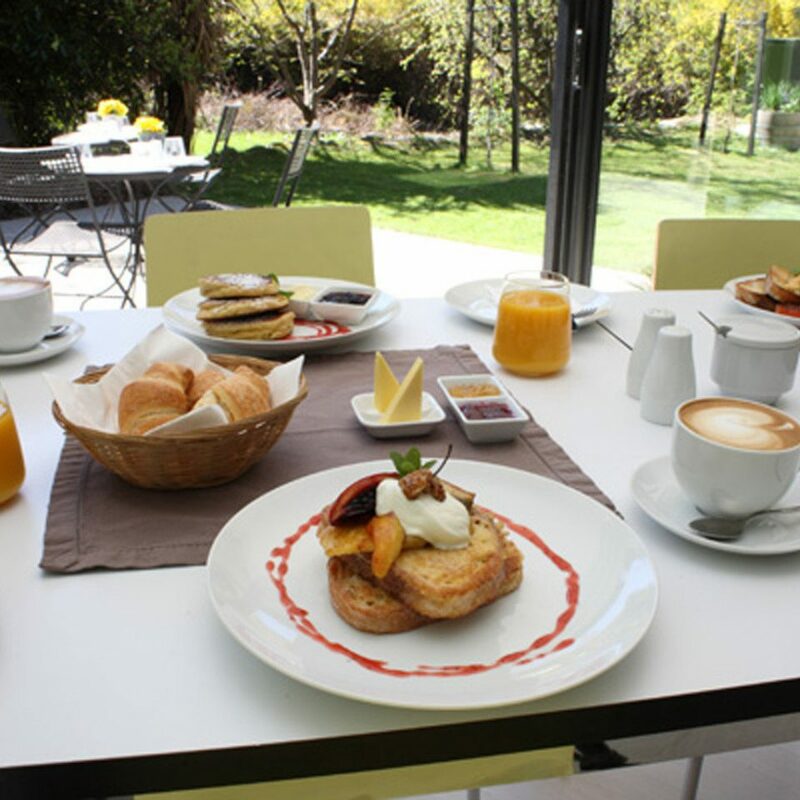 Breakfast was served at the fine dining restaurant on property and was quite nice. The beat part of this hotel is the location. It’s within walking distance to many attractions and the Rocks neighborhood offers many shops and restaurants. You can also easily walk to train/bus/ferry stations and venture further from there. The concierge was super helpful and provided us with a booklet of things to do around town. 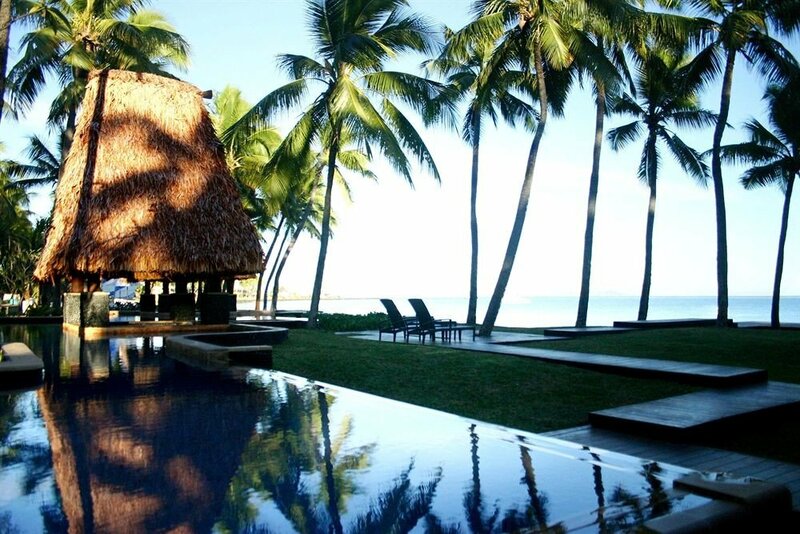 I wouldn’t hesitate to stay here again. Location and view, AMAZING! facilities, average. Service, pompous, disinterested and inefficient. Value, ABYSMAL. Disappointing is an understatement. At the price they charge, they rely purely on their location and their view. 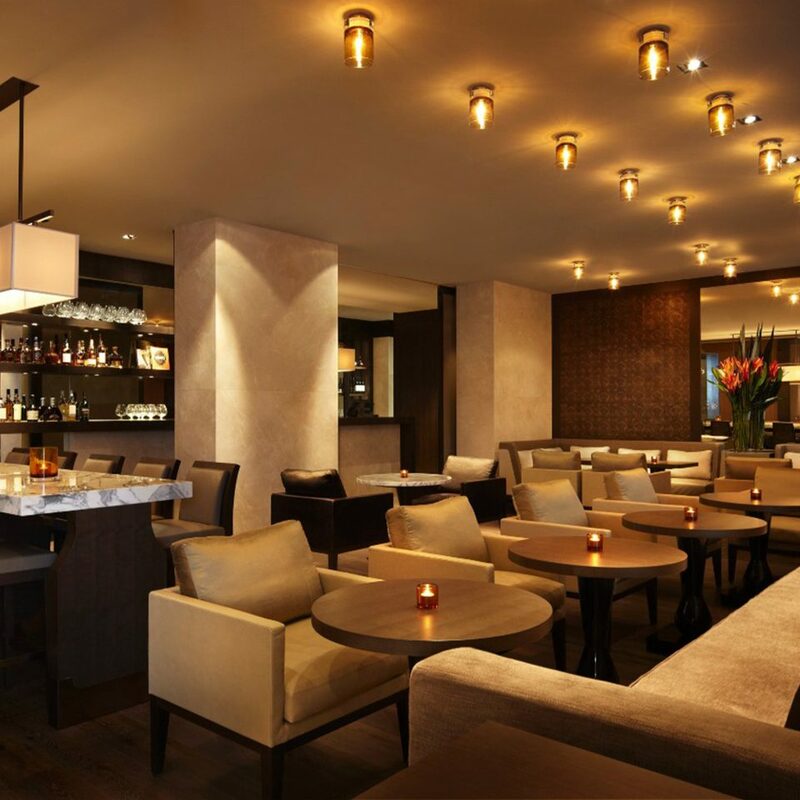 The rooms are average, the bar and restaurant are boring and the service is terrible. We spent 4 days in Sydney and decided to mix it up. We did 2 days at the Hyatt and 2 days at the Ovolo. Our 2 days at the Hyatt were underwhelming to say the least. 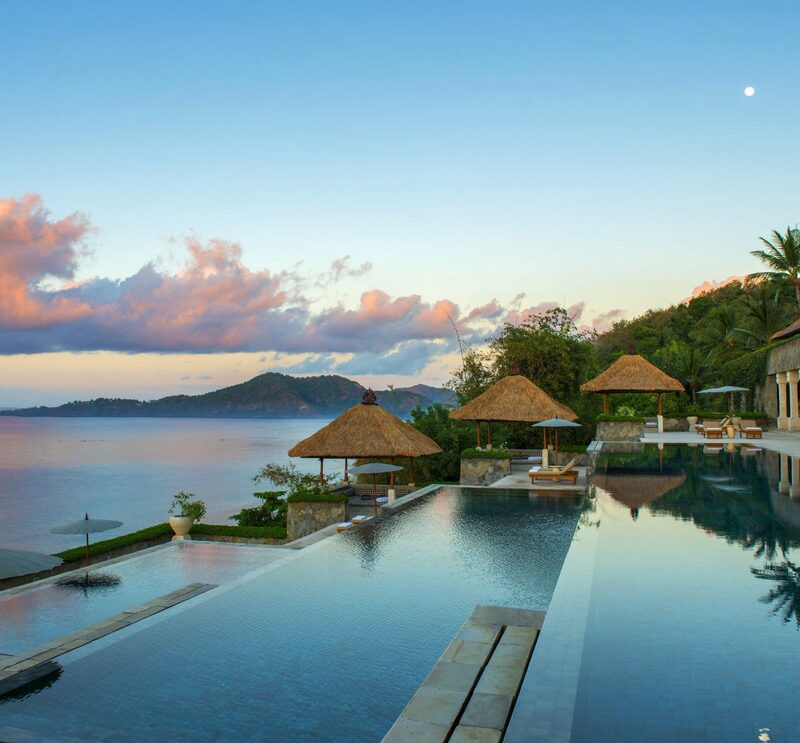 At well over $1k per night, you’d expect something amazing. The view was but that was it. It is 2019. Providing an experience is a must. Relying on your view and location is just not enough. Everything else was flat. The food was boring, the drinks over expensive and the service was just terrible. The staff looked miserable. The other 2 days, we spent at Woolloomooloo. The view and location were great but not as good as yours. Gor the rest, they put you to shame. The bar and restaurant are so much fun. Great bar food, great plant base concept in one of their restaurant and the atmosphere and vibe is fantastic. The biggest difference was the service. So much attention to details and so much joy. This is what customers are after these days. They nailed it. $400 a night cheaper for a MUCH better experience. We would not go back to the Park Hyatt.